This 07 is highly pigmented like a Syrah with really big aromas of deep lush dark fruit with cigar box fragrances, elderberry and with breathing, chocolate and more dark fruit. In the mouth the wine has an initial front palate of nice spice with young tannins, and dark rich berries with fruit that hangs on and a smokey charcoal finish. A rich extracted wine from Chile and decent for the $10 tag. See (NW's) review on the 2006 a few entries earlier then raise a glass. Don't overlook the charm of Nero D'Avola from Sicily. Here's a fairly consistent wine from year to year and one that can give you a pretty good introduction to the grape. I'm just amazed by the upward creep of wine prices (I'll blame this one on the Dollar-Euro trade). I was buying this wine for $12 just a few years ago, and now $16.99 is the sale price I'm seeing. When you find a good deal on it, grab a supply and enjoy this one all year for it's charm. Raise a glass! This is decent, but a bit rustic with heavy tannins and flavors that don't seem very well integrated. I had this wine twice at restaurants in the past two weeks and had the same experience with the wine both times. After doing some research on it, I was shocked to see that it received 91 points from Wine Spectator. Their scoring of Italian wines seems to be very reliable, but at $36, I wouldn't reach for it again. It tastes like a $15 wine that wants to be a super-Tuscan but is really just a guzzler for pizza night (okay, gourmet homemade pizza). Raise a glass of a Tuscan guzzler instead! Try something different next time you're reaching for a Cabernet or Merlot. You'll find this wine showing up more and more in the bargain aisle in wine shops and even in the grocery store. It runs about $10. 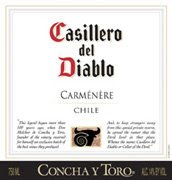 The flavor profile is dark and concentrated which is typical of Chilean red wines. There's also an herbal note, in this case a bit green and vegetal. While it's a little rough around the edges, it's something different that's worth trying for $10. (Is Chile the only country in the world that's actually keeping wine their wine prices in check?) Raise a glass! It has a nice black cherry color with bright lively fruit and a solid Cabernet nose of spicy ripe black cherry with slight perfumy rear with a sweet fragrance. In the mouth it is down right varietal with a popular sweet palate that is flavorful and quite tasty with a nice finish. At the $10 price point I was pleasantly surprised by this Argentinan Cab. It is a "buy more" wine and one of the best $10 Cabs I have had in a long time so raise a glass! I grabbed this on closeout knowing nothing about it. I paid a whopping $8 for it and it is unfiltered and from Monterey, Ca. with a big 15.2% alcohol level. It is a gentle golden color with strong vanilla pudding bouquet with sweet fruits of ripe pineapple, and light citrus. In the mouth it has a spice front and good foundation. It is citrusy with racy acidity finishing with a touch of creamy lemon. For the $8 closeout tag, raise a glass! Okay, so I have been encouraging you all to seek out the inexpensive 05 Bordeaux because you will find some real bargains from this stellar year. This Grand Vin De Bordeaux has a ue of black cherry with a back bone and bouquet of milk chocolate with sour cherries galore and intense aromas that change by the second. There are herbs all over the place with fresh basil on a powdery carpet with subtle earthy undertones. And this is just the bouquet--I have already gotten my $12 out of it without even tasting it! In the mouth the wine is surprisingly thin in texture with bready, sour cherry flavors. With an hour or so to breath, this wine emits blueberry aromas with a palate that is balanced but a little dull. With yet more breathing, cedar galore is like a Christmas tree just was delivered! After two hours fo breathing this wine changes into an exemplary 05 that is a SUPER value that finishes with fresh red fruit. I WILL buy more if/when I find it! Raise a glass to these 05 bargains! As (NW) and I try to hit the 100 varietal mark I grabbed this wine because I had never heard of the "Pais" grape. For $7 on close out, just being able to check off another varietal was worth it. I did a little research on this grape and found that it was a blending grape and that it would not make a good wine by itself (or 93% as this wine contained). This value wine is heavily pigmented of black cherry and cranberry rim with cracked pepper aroma, ripe black cherries and blackberry. In the mouth this wine has big flavors of rich dark fruit with solid but smooth tannins and a nice finish. All around well done and at $12 (the sale price and case discount) a real value although I have seen this wine as high as $21! Raise a glass. 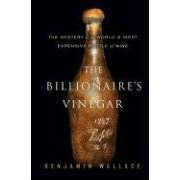 By Benjamin Wallace, the book chronicles the controversial sale(s) of the most expensive bottle of wine ever bought. Touted to be one of Thomas Jefferson's own inventory, the 1787 Lafite with the initials Th.J. on the bottle was bought by Malcom Forbes for $156,000. The famed Jefferson bottle was only one of numerous such bottles from different chateau of famous Bordeaux sold to various individuals all linked to a German wine peddler named Hardy Rodenstock. This book is expertly written and is both a real life mystery as well as an education in the world of wine, the eccentricities of people with way too much money on their hands for their own good, and a study in the relationship between the intrinsic value of something versus the perceived value of the same. This is a wonderful book for the wine devotee you know, but even beyond that, it is just a fascinating and intriguing read! Raise a book! Disclosure--Stiletto Entertainment sent this wine to the Winecask Blog for review. This is one of the iconic singer--Barry Manilow's endeavors and its a decent start. This varietal is from the Sagro Hills region of Abruzzo, Italy. It is a pale golden with a big fruity, candied bouquet of sweet citrus and something that just eludes my identification. As close as I can come is a touch of the orange, marshmallow "circus peanuts" we ate as kids with an end note of vanilla. Interesting! In the mouth the wine is quite crisp with a nice mouth feel and solid citrusy flavors in an off dry style. This should make a good food wine with a nice acid foundation to clean up a fatigued palate. Finishes with a lemony touch. Pinot Grigio is making a bit of a comeback these days and is unique enough to hold its own in a market glutted by wine galore. At the $14 price point (I believe) all I can say is even 'Mandy' would like this wine. "Raise a glass!" This Hawkes Bay New Zealand white is pale straw with big grassy, grapefruit aromas. In the mouth it is sharply acidic (in a good way) with solid grapefruit flavors that are almost too strong and a mouth full of grassiness. I am a fan of NZ S.B. and this wine is a good example of the style but it is so BIG that you really have to be in the mood and pairing for this wine could be a bit tricky. I grabbed it on sale for $6. At that price it is a great value. Raise a glass. Here's a reliable dessert wine from California that pairs really well with a variety of fruit-based desserts. I really like the amazing orange blossom bouquet it delivers. While the 2005 doesn't strike me as being quite as good as past vintages I've enjoyed, I still recommend it. I paid $12 for the 375 mL bottle, however I often see this wine for more like $15. Raise a glass! This is a decent wine. I'd call it a middle-of-the-road style of Malbec, with nice flavors and good texture. I paid $13 for the bottle at an new wine shop in a tiny rural town in Maine. You never know what you'll find. Raise a glass! The magic of wine is the mystery it hides, the camaraderie it engenders and the conviviality it heightens. So when my sister-in-law and her husband flew in from Chicago to surprise my wife and I on our 35th, his willingness to share one of his three allocated bottles of this wine was "special!" Turley wines are hard to come by with a cult following that means you experience Ms. Turley's wines by someone else's good graces. We opened it and embraced its black cherry/and purple hue with ripe black berries in the nose and more black cherry notes. On the palate the tannins are silky with ripe fruit that has a touch of elegance and pepper. After breathing, it is tasty, and delicious but surprisingly, slightly "weak" as compared with say the style of Rosenblum's many single vineyard creations. Not a fair comparison perhaps but for the price ($40) you're paying for the supply and demand factor rather than the fruit. The wine would be more fairly priced in the mid $20's. But raise a glass and "Thanks Greg!" This Premier Cotes De Blaye is a cherry with slight purple hue and a very tight nose of bright red fruit. The palate is bit tart with an odd mouth feel; closed all around with hard tannins and cherry finish. After decanting, there is nice dried cherry and a touch of raspberry in the nose; a hint of spice on the front palate with toast and dried cherry flavors and a light fruit finish. Learn to be patient with breathing even inexpensive wines. Sometimes it works wonders. This Bordeaux was $13 and pretty decent wine so raise a glass. Ripe rich grape with raisin and prune aromas. In the mouth this wine is really "hot" with of course, a nice sweet palate by it is overpowered by alcohol. I breathed this wine to see if would lighten up but it did not. Even at $13, this is not a very appealing port. Tasca D'Almerita is THE Sicilian wine family and this NeroD'Avola (which is the grape) is a small example why. The wine is a pretty purple and black cherry with a nice cherry nose. The presence on the palate is nice with unique spice presence, bright red fruit and a very slight anise touch. With some air, it opens to a really nice wine with sweet flavors and delicious black cherries. At $14, NeroD'Avola is a grape worth pursuing. Raise a glass! As your pour this wine, you'll notice its beatiful light color that sparkles and dances in the glass. Do some swirling, and this wines opens up with a nose that is fragrant and inviting. On the palate, it's light and mildly acidic but held tightly together. The finish tapers nicely with a sweet spice ending. My simple advice here is: enjoy the versatility of this wine because it's a beautiful and expressive Pinot Noir. Also, allow it to come up in temperature more than you might otherwise think. At $20 or so, this is a well priced New Zealand Pinot Noir. Get acquainted with this aisle in your wine shop- and raise a glass! This is what $10 Cabernet Sauvignon should taste like! It offers nice fruit layers, a sturdy structure, and well-integrated accents of cedar, cocoa, and herbs. I think this wine is better than any Chilean Cab in the ten dollar range. The nose has a bit of alcohol that burns off given a little time in the glass. Other than that, I'm impressed. Raise a glass! Typical New Zealand S. Blanc with straw hue and classic N.Z. aromas of grassy fruit. Palate is sweet guava and huge grapefruit (I mean HUGE, almost over the top) with sharp acidity and a creamy texture. Very nice at the $12 price point so raise a glass! Brilliant deep garnet with big bouquet of wood, black cherry and a candy like foundation of Good 'N Plenty! This is a deeply pigmented wine after the fashion of the grape. It is cranberry and black cherry colored with black cherry aromas and sweet steel. In the mouth this wine is sweet, has a nice texture that is plush with dark fruit on a nice foundation. It finishes a bit quickly but is pretty tasty and at the $19 price point, raise a glass! Nice magenta hue with some depth and a bouquet of fruity black cherry and plum with anise notes. The palate is rally sweet in the popular American style, with tasty, intense fruit with a silky presence. and loads of fruit. I paid $14 on sale for the regularly priced $18 wine. Finishes with some smoke and is a very nice Zin at the price so raise a glass. Pale straw wine with gentle bouquet of flowers and lemon with a mandarin orange hint for lack of better description. The palate has presence of flavorful, off-dry citrus with gentle "flat" white peach (maybe called satellite peach) and vanilla. This is a tasty wine that is better as a solo wine than some of the other Albarino's I have had. Very nice at $16 price point so raise a glass.